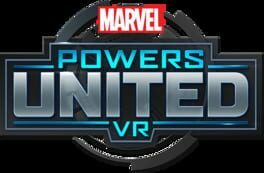 Time until Marvel: Powers United VR release day! "Unleash your rage and smash foes, lock n’ load your favorite plasma cannons, or take to the skies with powerful photon blasts. Hulk, Rocket Raccoon, Captain Marvel, and a powerful roster of Marvel’s greatest heroes are ready for battle. Suit up, power up, and team up with friends to engage in immersive, explosive co-op fights from across the Marvel Universe. Be the hero and unleash your powers now!"